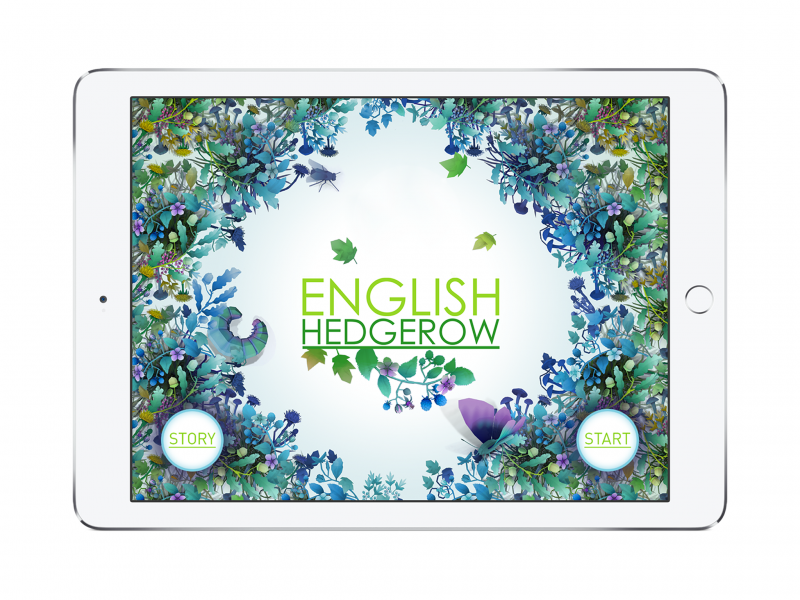 Created by Unanico Studios for Unanico Entertainment, the ‘English Hedgerow Chintz Design and Augmented Reality (AR) App’ in its latest re-imagining is available to download for ‘free’ to all iOS devices worldwide. The English Hedgerow AR App is now a 64-bit app supporting iOS devices with iOS 9.0, iOS 10.0 and iOS 11.0 software, and is powered by the modern SDK ARToolKit 6. Apple’s ARToolKit is the world’s most widely used tracking library for AR products. 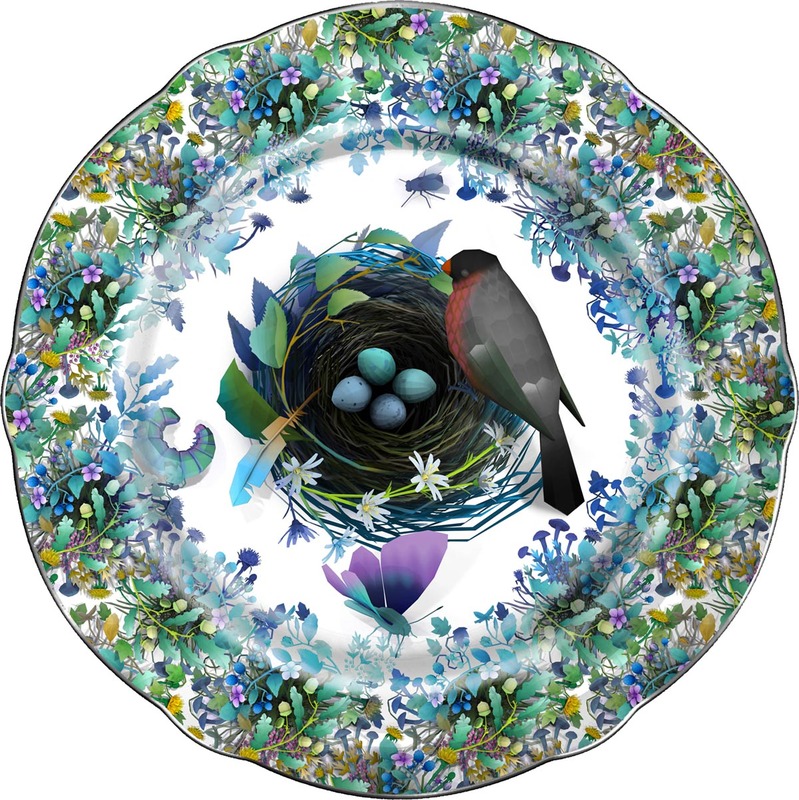 English Hedgerow, in its heritage form, was a modern chintz AR pattern designed by Unanico Studio’s Co-Founder & Creative Director Jason Jameson and Digital Designer James Hall, and which was originally applied to a beautifully crafted Royal Winton fine bone china plate, created in collaboration with Andrew Tanner Design. The heritage brand, and its accompanying AR decal and app, was first released in 2013, with the fine bone china plate selling worldwide, having the highest sales in UK, Hong Kong and Japan. 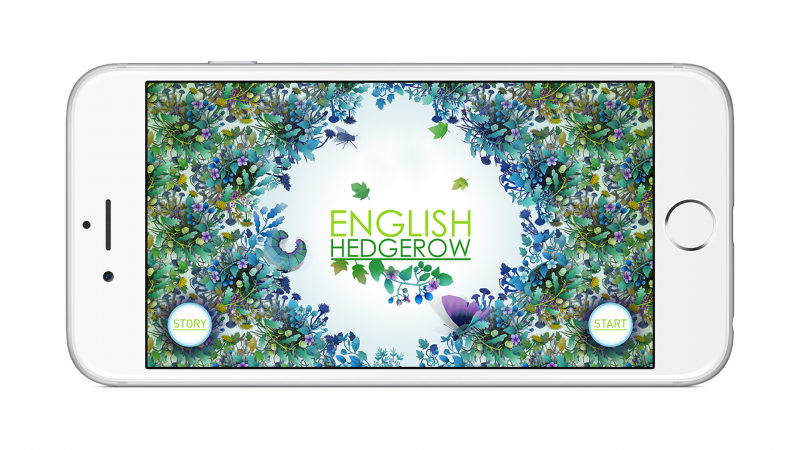 The original English Hedgerow AR App transported the English Hedgerow chintz design into the digital interactive era by bringing nature and AR together through generating an augmented reality experience with naturalistic animation and hedgerow sounds. 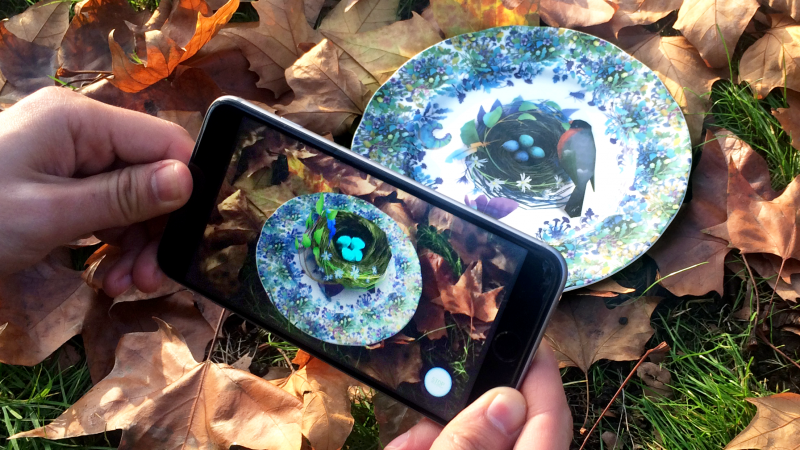 The re-imagined English Hedgerow AR App, released in October 2017, with built-in recording functionality, allows customers to now fully interact with the pattern, and record, upload and share their own AR experience of the English hedgerow via their social channels. 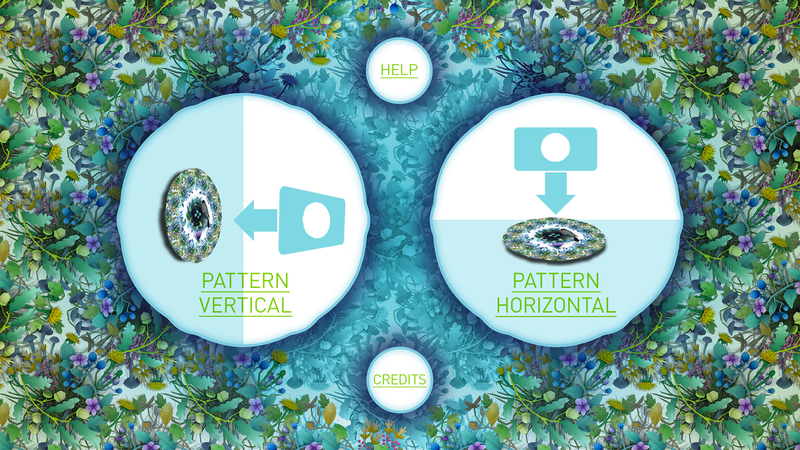 All customers need to do is download the ‘free’ chintz pattern AR decal and point the camera of an iOS device at the decorative decal, for the story to develop on-screen, and see it change whilst they interact with it as they move the camera around the design. 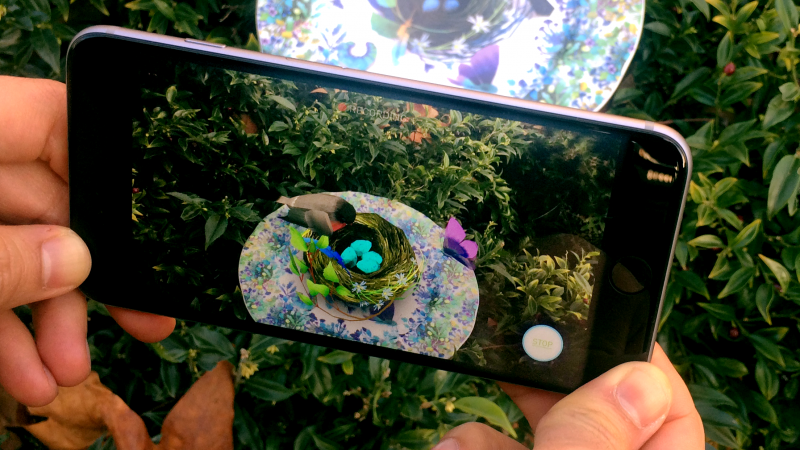 Created by referencing flora and fauna occurring in natural English hedgerows, the AR app allows customers who downloaded the original AR decal to experience life in an English hedgerow as the day dawns, to bask in the calm of a sunrise, and be replenished by its rays and simplicity. Customer can also interact with the brambles, beech, dandelions and hedgerow of the English countryside; follow a busy bullfinch bird as its tends to its nest; get up close to a fly as it buzzes in the oak and hazel; spy on a caterpillar as it curls up in the grass; track a butterfly as it flutters through the hawthorn and stitchwort; and observe the scampering of a tiny field mouse, all done in a highly enjoyable and natural way, bringing the calming elements of nature and its sounds straight into users’ hands and right in front of them! The heritage English Hedgerow brand was a finalist for the London Design Museum ‘Designs of the Year Award 2013’ where over 90 designs were nominated in the categories of architecture, product, furniture, fashion, graphic, digital, and transport design. The brand’s design and AR app were one of the shortlisted projects nominated for the award, that included the ‘Olympic Cauldron’ (by Thomas Heatherwick), ‘The Shard’ (by Renzo Piano) and the ‘Little Printer’ (by BERG). The design and AR app are featured in the Design Museum’s compilation book ‘Designs of Our Time’. The coffee table book is a celebration of the last 10 years of the ‘Designs of the Year’ Awards, and aims to celebrate the achievements of designers whose work was nominated and awarded since the prize ceremony started in 2007. The ‘Designs of Our Time’ book is sold in the Design Museum and on its online shop. To download the English Hedgerow pattern, click here. Unanico Ltd trading as Unanico Entertainment, a Unanico Group Company.